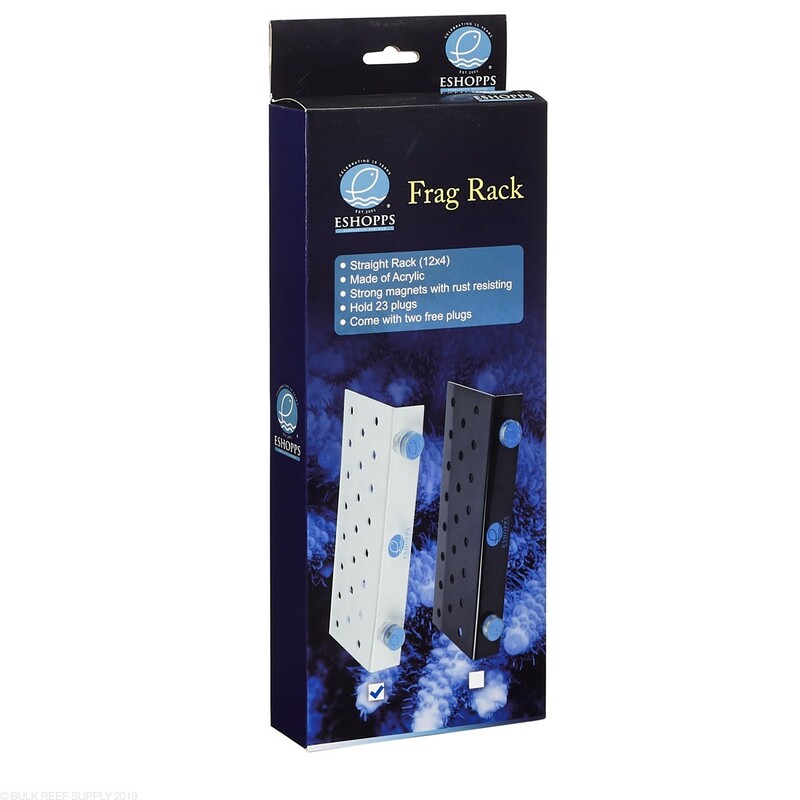 Keep your frags right where you want them with Eshopps Frag Rack! 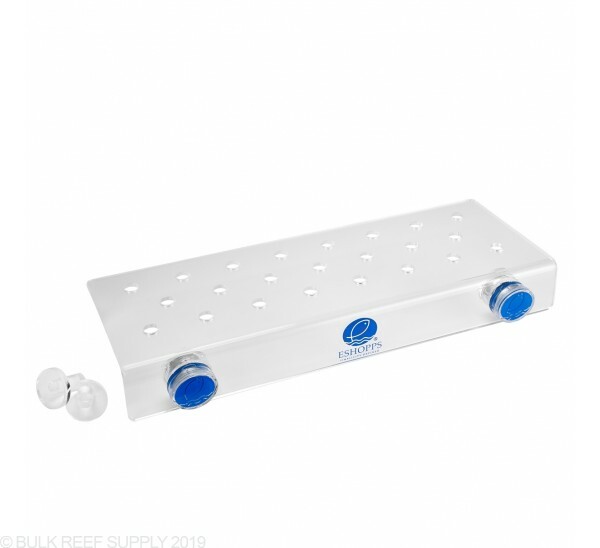 If you are purchasing your corals as frags, placing them on a frag rack is highly recommended allowing you to watch your corals for a few days before final placement, and if you are cutting and making your own frags then using a frag rack for display purposes is almost a necessity. 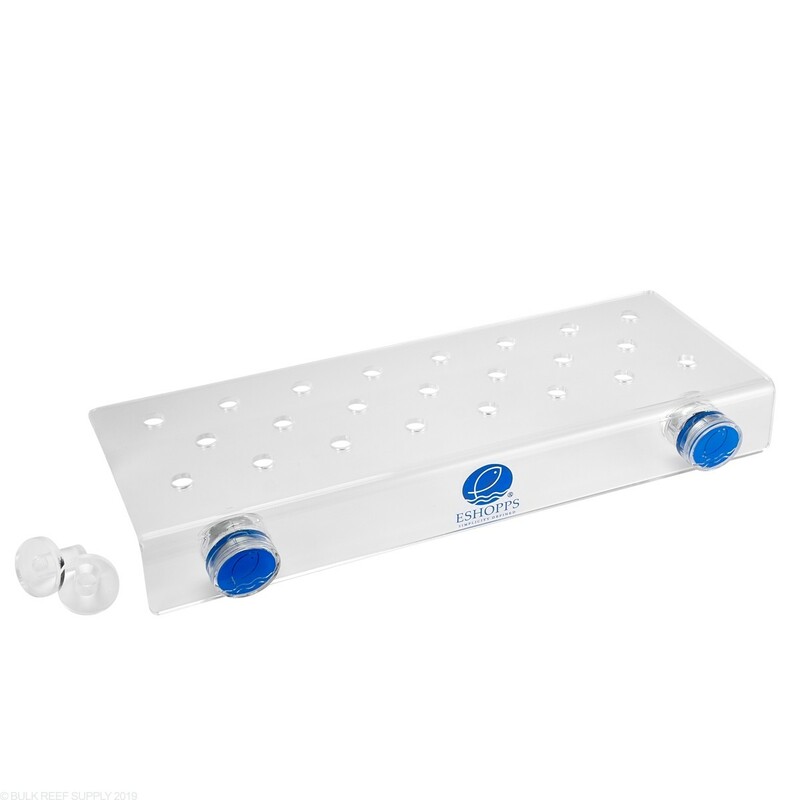 The magnetic mounting lets you move your corals for the perfect light intensity and flow allowing them to adapt to your tank while making them easy to view. 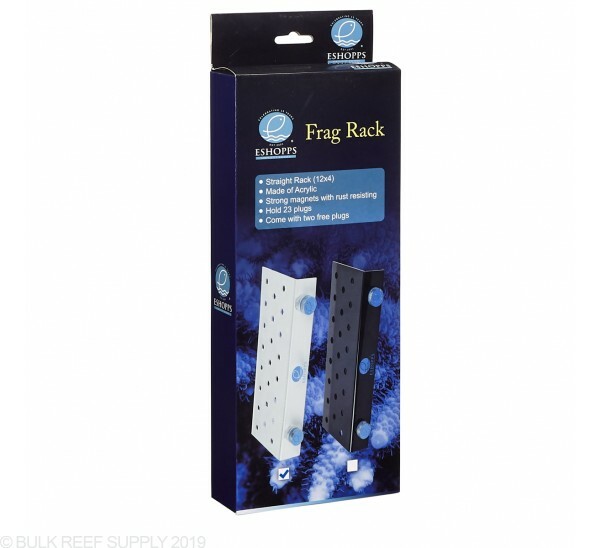 Each frag rack can hold up to 23 frag plugs that have a 3/8" thick stem on any vertical wall of your aquarium that has a max thickness of 3/8". 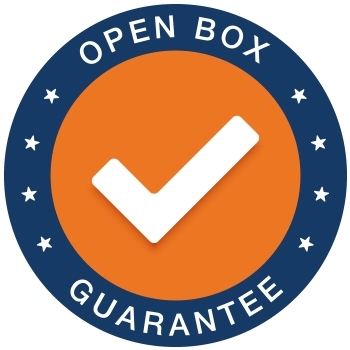 Max Tank Thickness - 3/8"
Dimensions - 12" x 4" x 1.5"